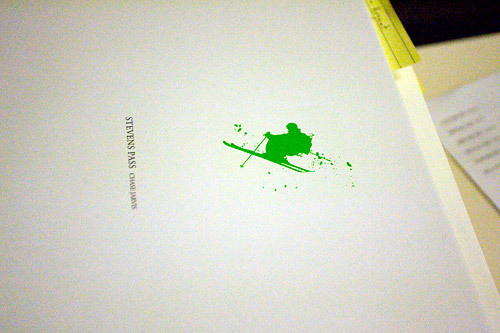 Chase Jarvis Book Signing | Shelby White - The blog of artist, visual designer and entrepreneur Shelby White. To those who didn’t make this event, shame on you, it was awesome. Besides Chase’s two Hangar photo events he hasn’t made a public speaking event like this since 2001. This was my first of his events that I’ve been to since living in Seattle. 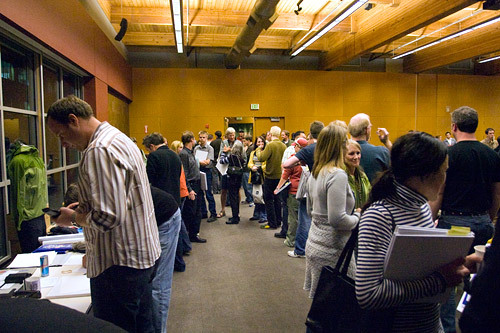 The book signing took place at REI in one of the conference centers on the top floor. 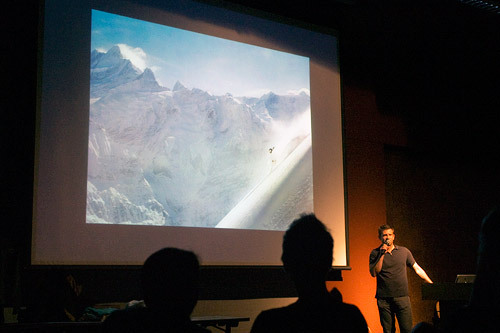 The purpose of the event was to sort of launch Chase’s new Stevens Pass photo book. You can visit the microsite for the book, here. 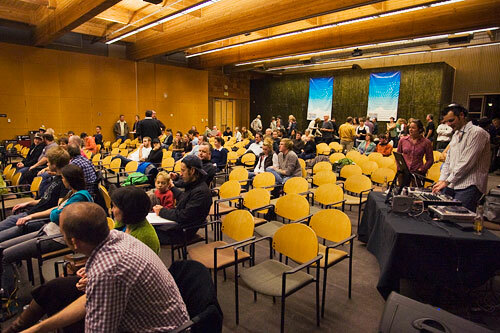 Unsurprisingly the book sold very well and there were about 200+ people in attendance. If you have a few bucks, snag a book before they go out of stock. 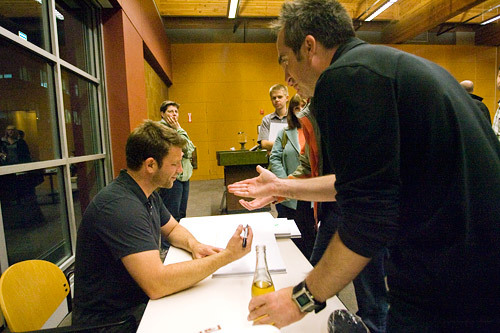 With there being quite a few people and each having their book autographed, I was only able to sneak in two questions for Chase. The first concerning the amount of web traffic that his site gets and the second one was asking him who is doing the design end of things for the business. After the questions, I snagged a few pictures of the crowd and Chase’s assistant/right hand man Scott, raffling off items. 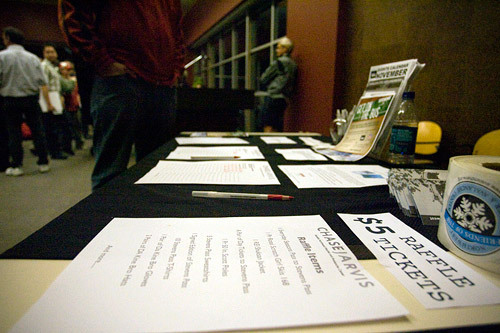 Along with the raffle, there was a silent auction of Stevens Pass season passes to benefit the Northwest Avalanche Center. I’ve posted some pictures from the event and also one of the videos that was played during the presentation. It was a completely filled event. Thanks for attending the show and also for the great write up. It was a pleasure meeting you at the event! HI, I wish I could be there. It’s amazing how photographers are doing it for themselves these days. So exactly how many hits does his site produce?